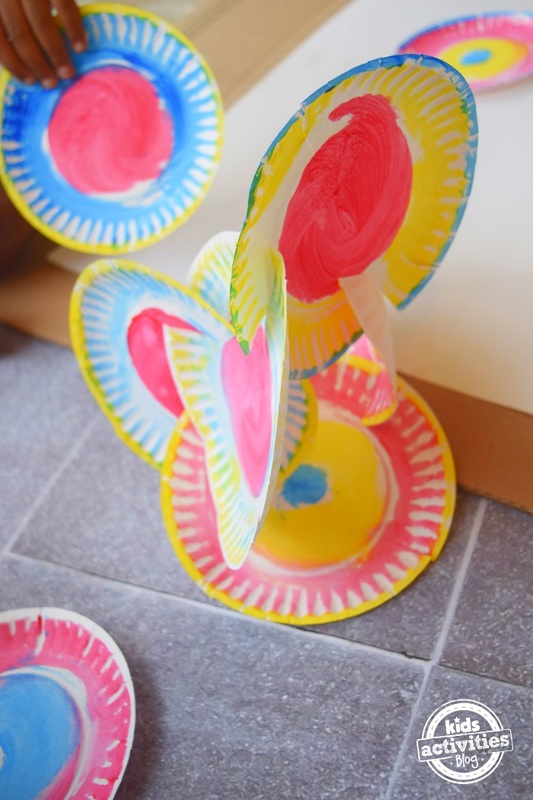 Where did I first see paper plate sculptures? 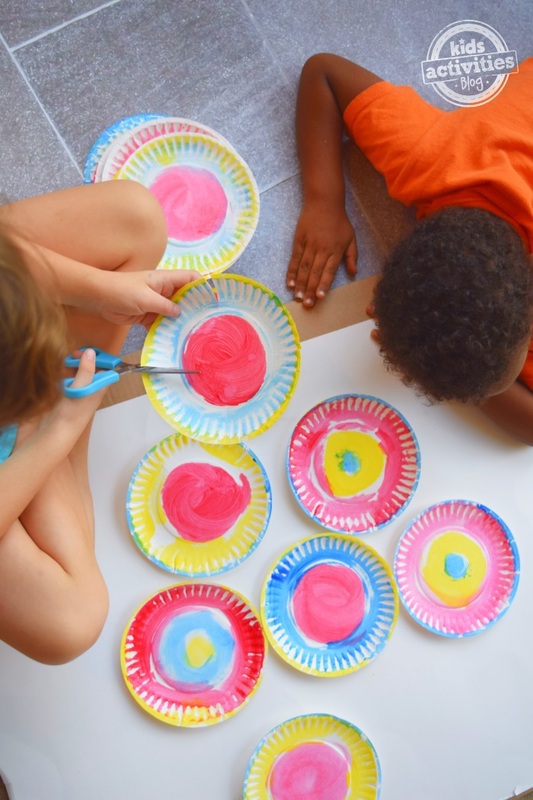 In spite of us having literally thousands of kids activities on here, including tons of crafts with paper plates, and even animals you can make with paper plates, we had yet to build sculptures with plates! Time to see what we were missing out on! These are super colorful and fun! How can you not want to build with them? You will need a nice stack of paper plates. Paint them for extra fun! Cut 4 slits into your plate, top, bottom, and sides. Now that you have your discs you will want to flatten them. Your plates are ready to build with! 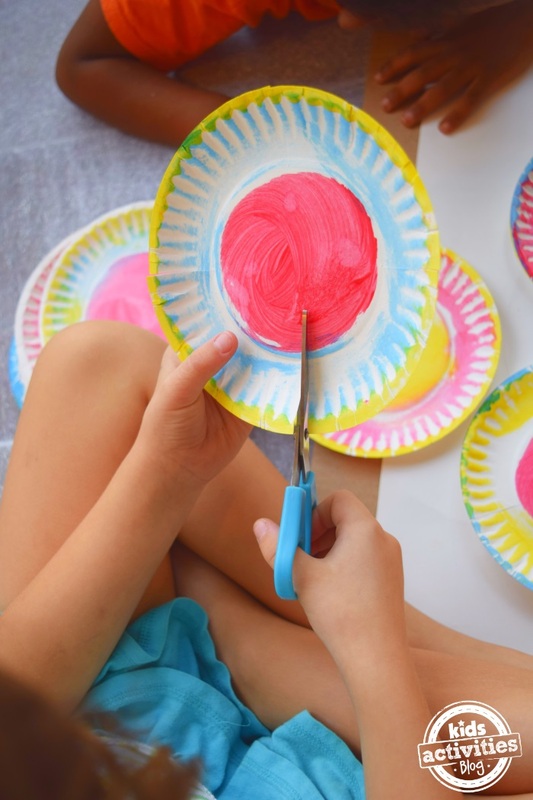 Aren’t DIY toys, using supplies that do not require a special trip to the store the best? This just might be one of the cheapest toys my kids have ever made. It’s a bit tricky, so my younger preschoolers made “snakes” with the plates, chaining them together. The older kids mastered the “stacking” in no time. Probably a good hour of cutting, building, taping. The bigger the better! 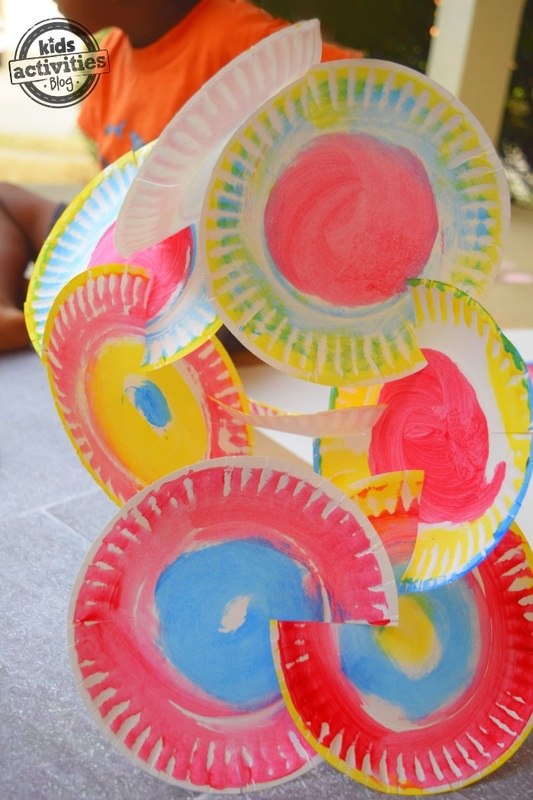 Love this paper plate creation? 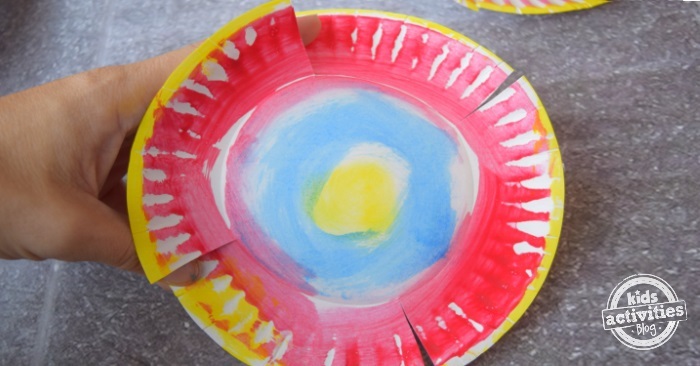 Check out all the other things you can make with paper plates! Previous Post: « How to Make Foaming Bubbles: Great fun for kids of all ages!